Handling blood sample. 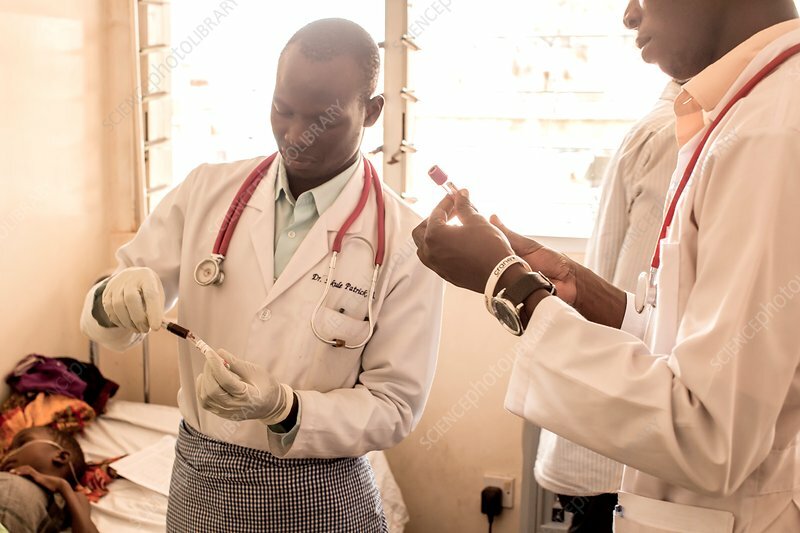 Doctors handling a blood sample that has just been taken from a child in a hospital. Photographed in St Mary's Hospital, Lacor, Gulu, Uganda.